Equipment loan is a new and innovative retail loan product which is initiated by quite a few banks and NBFCs to cater to the diverse needs of its customers who belong to diverse business industries. 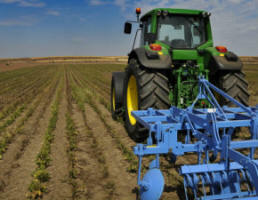 This loan category is very comprehensive and can include construction farm equipment loans, medical equipment loans, office equipment loans etc. These loans are available at very competitive interest rates and convenient EMIs. The amount of EMI will depend on a number of factors such as loan amount, tenure of loan, financial status of the person who is taking the loan. 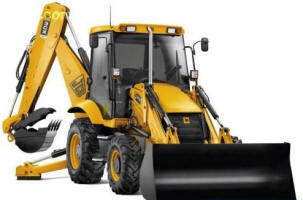 Banks are now a days offering customised construction equipment loans to suit the needs of all its clients; right from new entrepreneurs to large business houses. Some leading banks provide value added services by tying up with leading construction equipment manufacturers to provide a wide variety to its clients,this also makes the loan process quite easy and smoother. Such loans can also fall under the category of personal loans. The amount of loan depends on a number of factors like the purpose of loan, repayment capacity, past and present financial profile which includes CIBIL and ratings of business by rating Agencies like ICRA,CRISIL etc. and also various bank records and statements furnished by the customer. The loan amount is repayable through Equated Monthly Installments or EMI. In todays age , Banks are targeting top- notch doctors as a latest segment of customers by offering them attractive medical equipment loans. This loan is primarily taken to either purchase new equipment or taking over the existing one. Loans are available starting from Rs. 100000. There is no maximum amount of loan. It is generally decided after considering the financial background of the customer, his repayment capacity, tenure of the loan etc. Loan is given maximum up to 85% of the value of the medical equipment. The loan is repaid through Equated Monthly Installments or EMI. Loan is repaid within a tenure of 1 to 5 years. We at Mudrawale are keen on the quality of the services we are offering and assure you to help you out in every possible way. Office equipment loan is the latest financial tool provided to the customers from various banks. Right from furniture, to workstations to computers, loan can be taken to suit your requirements.Mudraale is one of the pioneer in this loan segment who is helping hundreds and thousands of the persons to make their office uptodate. The quantum of loan depends on factors like repayment capacity of the borrower, tenure of loan, policies of the bank, financial background of the borrower. Loan is sanctioned up to 70% of the actual value of the office equipment. Repayment is done through Equated Monthly Installments or EMI. Repayment tenure can range from 1-3 years.